Tommy Fleetwood is relishing the opportunity to host the British Masters at Hillside Golf Club in 2019. Tommy Fleetwood will host the British Masters next season as the European Tour unveiled their 2019 schedule featuring 47 tournaments in 31 different countries. 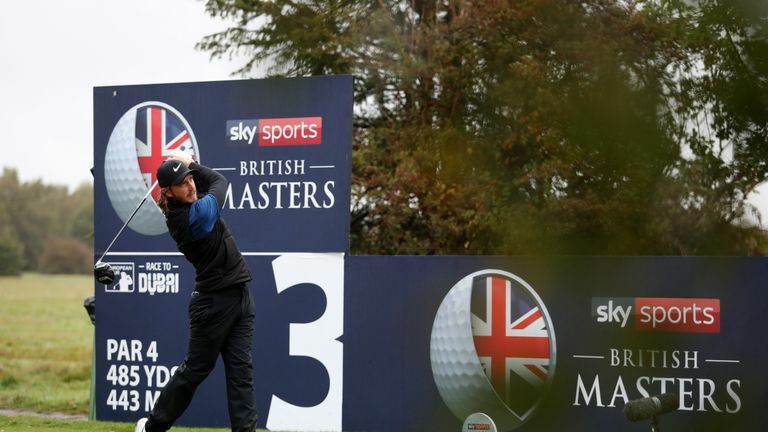 The British Masters has been moved to the second week of May after being played in the autumn since returning to the European Tour calendar in 2015 with the support of Sky Sports, with Fleetwood looking forward to following the lead of Ian Poulter, Luke Donald, Lee Westwood and Justin Rose as tournament host. The Abu Dhabi HSBC Championship in January has been elevated to a Rolex Series event, while the BMW PGA Championship at Wentworth will now be staged in mid-September having been played towards the end of May since 1975. The historic Open de France has also been moved to October with the Andalucia Valderrama Masters brought forward to June, and the GolfSixes retains its place on the schedule and will switch to a venue in Portugal in early June. The new European Tour season begins with the Honma Hong Kong Open on November 22 and will once again conclude a full 12 months later at the DP World Tour Championship in Dubai, while the Saudi International and the Vic Open are among the new events confirmed for next year. Eddie Pepperell will defend his British Masters crown at Hillside Golf Club in Fleetwood's native Southport, and the Ryder Cup hero is already looking ahead to building on the success of the last four events. "I can't wait to host the British Masters in my hometown," said Fleetwood. "It will be such an honour and I'm so grateful to have been asked. "I'm extremely proud to follow the great ambassadors of our game who have hosted this tournament. I am very confident that Southport will make everyone welcome and the north west of England, and its love of golf, will embrace this opportunity and show support to us all." A statement from the European Tour added: "The Abu Dhabi HSBC Championship presented by EGA has long been recognised as one of the stand-out tournaments on the European Tour, and its elevation to the Rolex Series - with an associated prize fund rise from US$3 million to US$7 million - now properly reflects that. "It takes its place alongside the Dubai Duty Free Irish Open, the Aberdeen Standard Investments Scottish Open, the BMW PGA Championship, the Italian Open, the Turkish Airlines Open, the Nedbank Golf Challenge hosted by Gary Player and the DP World Tour Championship, Dubai, in the line-up for the third year of the Rolex Series, which again combines the leading fields with innovative coverage. "While the Rolex Series tournaments in Ireland and Scotland retain their July date and those in Turkey, South Africa and Dubai remain in November, there are changes for the BMW PGA Championship which moves from May to September, and the Italian Open which moves from June to October, both made to adapt to the ever-changing global golf landscape. "As always, innovation remains an integral part of any European Tour season and in addition to the third staging of the GolfSixes event - which this year will be held in Portugal - the pioneering Shot Clock Challenge is also set to return in August after its ground-breaking debut earlier this year, as will the Belgian Knockout at the end of May. "Without question one of the major successes of this year's GolfSixes was the introduction of women professionals into the format and the concept of men and women competing together remains prominent on the European Tour in 2019. "In addition to GolfSixes, men and women professionals will play together at the Trophee Hassan II tournament in Morocco in April as well as at the Vic Open in Australia in February, which makes its debut on the European Tour." Keith Waters, the European Tour's chief operating officer, said: "We are delighted with our 2019 International Schedule which illustrates precisely what we are all about; namely a Tour which delivers a significant breadth and scope of global coverage in addition to taking a leading role in innovation and transformation. "Our grateful thanks go to our co-sanctioning partners at the Asian Tour, the ISPS Handa PGA Tour of Australasia and the Sunshine Tour, in addition to the many sponsors, partners and promoters we work with in so many different countries to deliver these world-class events."